The Arm Cortex-M23 introduces the latest generation of the Arm Cortex-M product family. Based on the Arm v8-M baseline architecture, it is the smallest and most energy efficient Arm processor with Arm TrustZone security technology. The Cortex-M23 is the ideal processor for constrained embedded applications requiring efficient security. 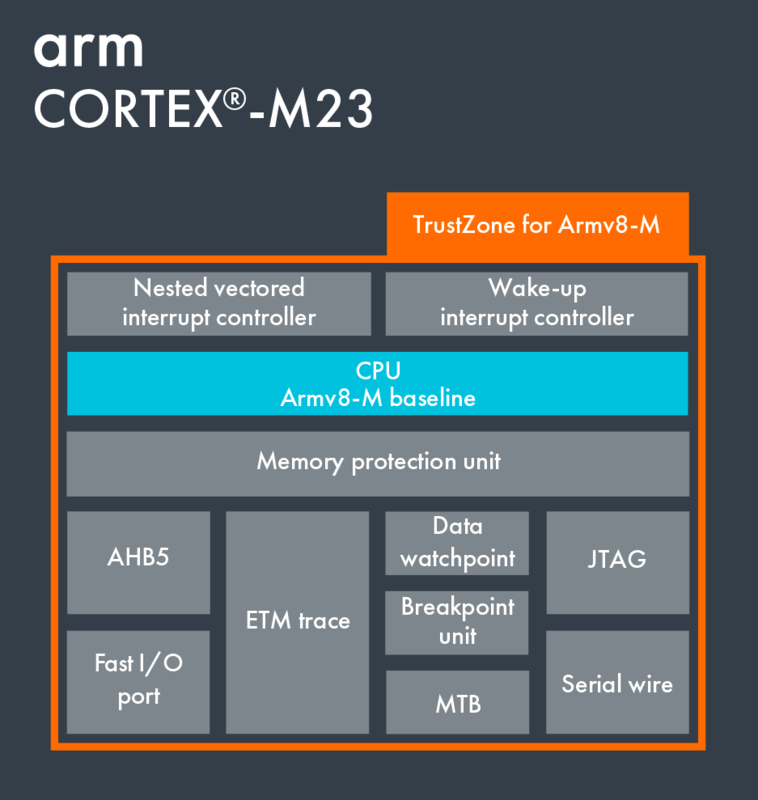 TrustZone for Arm v8-M provides hardware-enforced security isolation between trusted and the un-trusted resources on a Cortex-M23 based device, while maintaining the efficient exception handling and real-time determinism that is the hallmark for the Cortex-M family of processors. The Cortex-M23 is a two-stage pipelined processor that is compact and ultra efficient, yet supports the full Armv8-M baseline instruction set. The processor is compatible with other processors in the Cortex-M family making software re-use a real cost-saving advantage.